MARSHALL – The Southwest Minnesota State University athletic programs have enjoyed a great deal of success over the years, with a countless number of student-athletes leaving an indelible mark on their respective sport and the community at large. 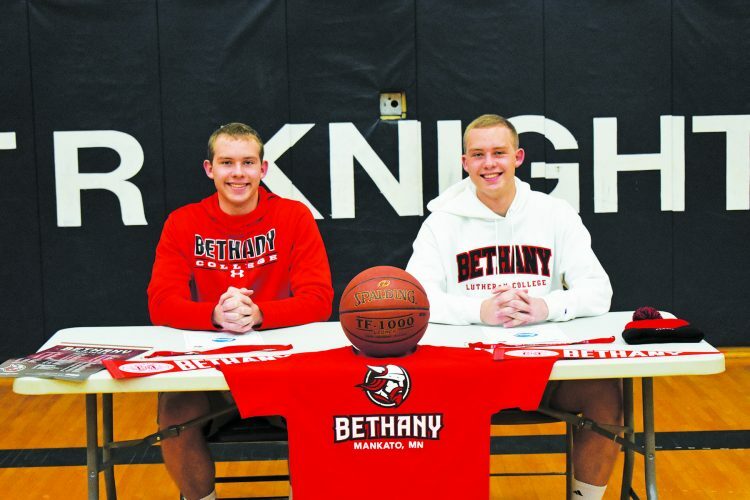 In the case of Mustang seniors Ryan Bruggeman, Taylor Reiss and Blake Gimbel, the community has been especially fortunate to witness their ascensions into legendary status, with the 2018-2019 academic year being an unforgettable one in terms of record-breaking achievements and national recognition. With their legacies cemented among the very best in their respective sports, I thought it would be a good idea to reflect on all three of their final seasons in brown and Vegas gold. After electing to come back for one more go around as a fifth-year senior signal caller, Gimbel made the most of his last ride as a Mustang with countless program records broken during the 2018 season. When the dust settled and his final season in a Mustang jersey was in the books, Gimbel finished with a career-high 3,381 yards on 293 completions, along with his second-highest passing touchdown mark of 25. A model of consistency, Gimbel threw for over 3,000 yards and over 20 touchdowns in all three of his full seasons under center. Over that period of time, the Marshalltown, Iowa, native broke numerous program records, including: career completions and completion percentage (953/65.7 percent), passing yards (10,530) and finished second in passing touchdowns behind Jeff Loots (83). Giving the Mustang fans a final performance for the ages, Gimbel dropped back to pass for a school record 70-passing attempts in the 2018 season finale against Augustana–throwing for 423 yards and a pair of touchdowns along the way. 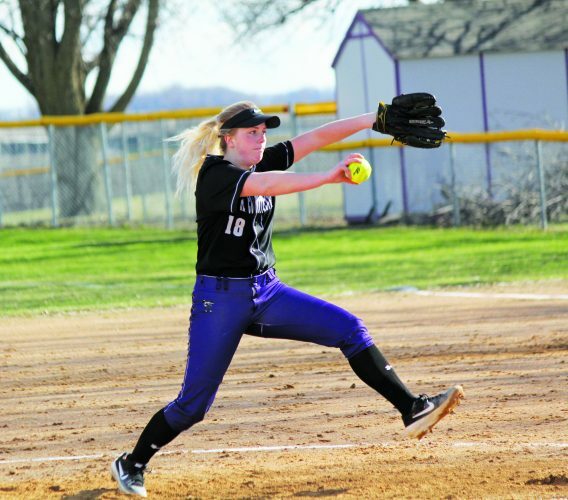 A native of the small town of Taunton, Reiss initially planned to attend South Dakota State University upon completing her illustrious career at Minneota. Thankfully for Mustang fans, Reiss elected to stay close to home instead, and enrolled at SMSU in 2015. Making an immediate impact as as a freshman, Reiss established herself as a force to be reckoned with in the NSIC–garnering Freshman of the Year honors and being named to the All-NSIC first team. In the three seasons that followed, the long list of accolades would continue to roll in for Reiss. In her memorable senior season, Reiss finished 2018 as the nation’s leader in kills per set (5.93), points per set (6.64) and total kills (557). As a result, Reiss picked up her third-straight NSIC Player of the Year award and second-consecutive American Volleyball Coaches Association Division II Player of the Year award. Ranking among the very best to ever compete at SMSU, Reiss closed out her career with the program’s second-most kills (2,039), points (2,311.5) and kills per set (4.95), finishing third in points per set (5.61) and attack attempts (4,954), sixth in attack percentage (.315) and seventh in service attempts (1,527). Unlike the previous two, Bruggeman’s story as a Mustang is still being written into 2019 as the season is ongoing. Even so, the list of records broken by the Pelican Rapids native continue to mount game by game. Most notably on the list of career achievements for Bruggeman is the all-time points record that was broken on Dec. 15 against UMD. In doing so, the senior guard surpassed long-time record-holder Jacob Fahl at the 1,638 point mark and is currently up to 1,865 points and counting. Other records broken by Bruggeman include: career free throws attempted and made (493-577), assists total and assists average (616, 5.4), steals (195) and free throw percentage (.854). He also currently ranks second in field goals attempted (1,294). The Mustangs have yet to play their final nine regular season games, opening up the possibility for more records to be broken by the senior guard in the months to come. Through 19 games played this season, Bruggeman has topped 30 points seven times and is averaging 24.7 points per game, good enough for sixth in the country and the most in the NSIC.